Вorn on 26 July, 1954 in Russia, Dr. Sautov graduated from Leningrad State University in 1977. In 1989 he graduated from the Diplomatic Academy of the Ministry of Foreign Affairs of the Soviet Union. In 1977-1979 Dr. Sautov served in the Soviet Army. Between 1979-1994 he worked in various state ministries and agencies, including Ministry of Foreign Affairs of Russia. 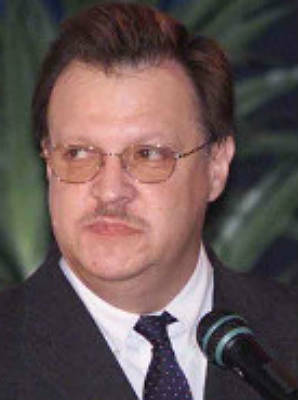 1995-1998 – Member of the Board, Vice-president of “Volga-Dnepr” airline company. 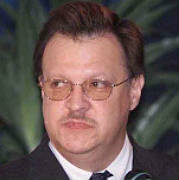 1998-2002 – General Director and Chairman of the Supervisory Board of Russia-ASEAN Cooperation Fund. Member of the Commission of the Russian Federation for ASEAN Affairs and the Russian Governmental Commission for APEC Participation. From year 2002 – till present Dr. Sautov is Vice-President for Marketing and External Relations of Irkut Corporation. In 2013 Dr. Sautov was elected as Chairman of the Business council for cooperation with Malaysia. In 2015 Dr. Sautov appointed as Deputy Director for Development of the Institute of Oriental Studies of the Russian Academy of Sciences. In 2015 Dr. Sautov was included in Russia-ASEAN Eminent Persons Group upon the recommendation of the Ministry of Foreign Affairs of Russia. Vladimir Sautov is Doctor of History with profound interest in Oriental studies. He has multiple publications on a range of issues related to contemporary affairs as well as history and religion of the Middle East and Asia. His native language is Russian and he speaks Arabic and English languages too. Dr. Sautov was awarded with three orders of the Russian Federation, multiple Certificates of honor of the Supreme Council of the USSR and Government of the Russian Federation, a range of medals of the Soviet Union, Russian Federation and other states as well. Dr. Sautov is married and has two children.